This phone is a fidget spinner. 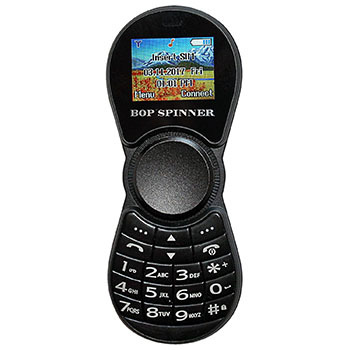 Or, this fidget spinner is a phone. If you’re here for the laughs, then stop reading here. It’s not really for fidget spinning. It’s three inches long and rounded on the ends. This phone has been specifically made to smuggle into prison.